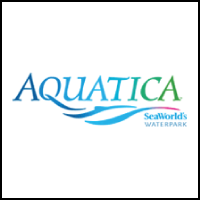 From high-speed water slides and exhilarating wave pools, to tranquil beaches and the remarkable animal habitats that are the hallmark of SeaWorld® that sprouts a whole new waterpark — Aquatica SeaWorld’s Waterpark.This tropical paradise next to SeaWorld offers water rides from serene to extreme, crashing surf and unforgettable opportunities. Discounts not available at ticket window. Must purchase tickets through The Employee Network. Enjoy the waves in our one million gallon wave pool or take a leisurely cruise around the lazy river. Paradise comes to the desert packed with thrills, slides, and fun. Don’t miss out Season Pass Special Running Till 4/14/19!!! Discounts not available at ticket window. Must purchase tickets through The Employee Network. No promo code necessary. 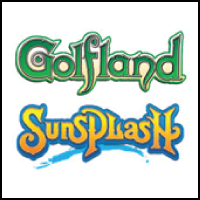 Golfland-Sunsplash is Arizona’s premier family fun destination. Featuring over 30 exciting rides and attractions in one location! We are located at Country Club and US-60 in Mesa. Golfland is open 365 days a year and Sunsplash is open May-September. Members save up to 35% on waterpark admission E-Tickets starting at $21.99 and other pre-purchased Golfland activities as low as $5.99!!! 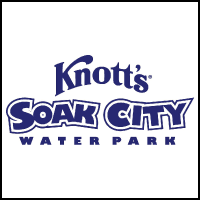 Knott’s Soak City has expanded to a 15-acre waterpark adjacent to Knott’s Berry Farm. The park now boasts a total of 22 speed, tube and body slides plus the Tidal Wave Bay wave pool; the Sunset River. Enjoy the all-new seven story plunge of Shore Break to the soak and splash of Gremmie Lagoon. Open select days from May 19 – Sept 9. Prices as low as $36.00 for General Admission!!! 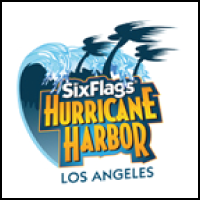 Six Flags Hurricane Harbor has 23 water filled adventures for the entire family! Plunge into the six-story vortex of adrenaline-pumping velocity people call Tornado. Brave the harrowing, high-speed water slides of Black Snake Summit. Then, kick back with your crew at the Lizard Lagoon recreation complex. Find your speed right here. Copyright © 1998-2019 by S.K. Promotions, Inc. All rights reserved. All content, copy, as well as information and pictures are for the sole use of The Employee Network and cannot be used without permission of The Employee Network.